At Flying Start Books we believe literacy is the key to success in life, so we’re passionate about giving children a flying start by launching them into literacy. This core belief is at the heart of our Red Rocket Readers Series. 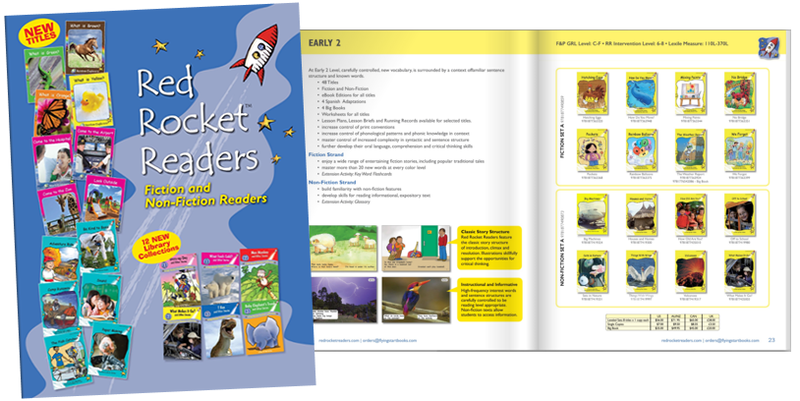 Developed by New Zealand reading specialist and author Pam Holden, this exciting, award-winning reading program offers more than 600 illustrated fiction and photographic non-fiction titles at graded levels. Recently we have extended our range to include an exciting new series, The Joy Cowley Club, by the much-loved author of perennial favorite, Mrs Wishy-Washy. (USA and Canada only). These delightful books for beginning readers features lovable new characters to charm and captivate children and teachers alike.